Picture this: you’ve been sitting on a cold, hard chair for over an hour in your dentist’s waiting room. The carpet smells musty. The magazines are over four years old. There is a man sitting next to you watching videos on his phone at full volume, and a mother with a screaming baby walking up and down the hallway. You would do anything for a cup of coffee right now. You rub your temples and vow to never, ever, make an appointment at this dentist again. Your dental waiting room is the first chance you have to tell your patients how much you care about them. And yet, so many patients report having a similar experience to the one outlined above. Your waiting room is your best opportunity – are you wasting it? As a dental practice owner, it’s easy to get caught up in the daily grind of back-to-back appointments and never-ending equipment sterilisation. However, the state of your waiting room can set the tone for a long, happy relationship or fuel negative reviews that affect your business for many years to come. With people connected in so many ways, it’s never been more important to ensure you’re putting as much attention on your waiting room as you are on your back room. Afterall, a happy waiting room means a happy patient! And happy patients equal fewer headaches for you, more referrals and increased profits. Here are just a few ideas you can implement to create a happy waiting room your patients will love. No one likes going to a dentist with a waiting room that makes them feel like a number on a chart. Rows and rows of plain chairs are not only an eyesore, but they can make your patients feel uncomfortable and trapped, especially if they already have a phobia of going to the dentist. Being forced to sit next to someone you don’t know, with no options to move around and enjoy the space, is both uncomfortable and unnecessary. To better utilise your waiting room and keep your clients happy, try offering a variety of seating options. 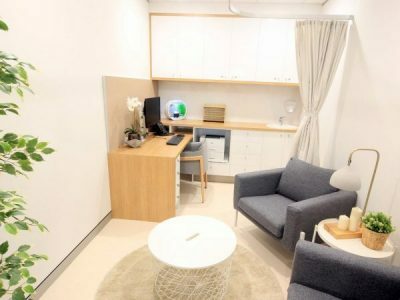 Clusters of plush armchairs and coffee tables are a great solution for families and couples, while quiet spaces with access to bookshelves, magazines and greenery are refreshing for busy professionals. A space for kids that’s tucked into a corner or behind a simple room divider is also essential. If you have a dental practice with a receptionist who greets your patients and then sends them away to a room out of sight, you’re making a big mistake. Just like at a restaurant, patients want to feel like they’re not going to be forgotten about. Make them feel like they are an important part of your practice by appointing a waiting room manager to offer them tea or coffee. A good waiting room manager will know the patient’s profile, history and personal information. They’ll engage them in friendly conversation about their day, family life or work. They’ll take the extra time to ask the patient if they have any questions, inform them of the wait time, arrange a magazine for them or offer them the Wi-Fi password so the patient can use their laptop, tablet or phone. You wouldn’t invite a guest to your home and just leave them hanging, so why do it in your dental practice? 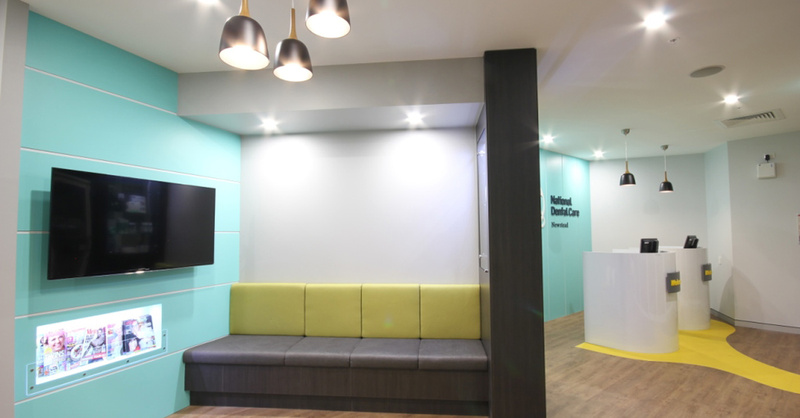 When doing a dental fit out we always recommend choosing colours for your waiting room that are uplifting and calm. 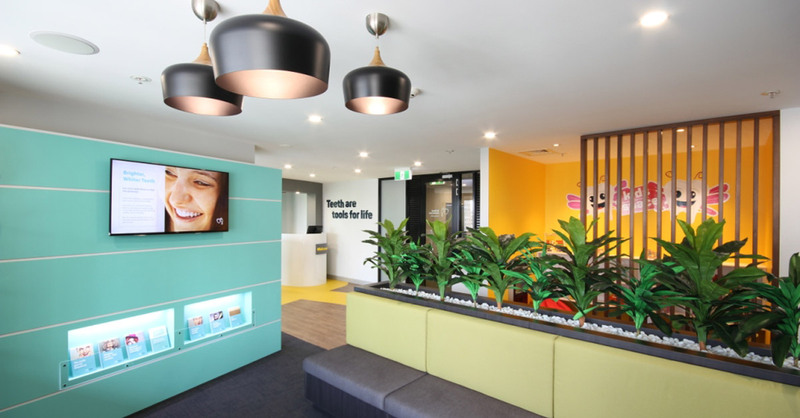 Colours should motivate your staff and increase productivity, while welcoming new patients and making them feel at ease. Blue hues are a great way to go because they tend to convey serenity. But make sure you balance the blue with warm accents to avoid creating a space which feels cold. Always choose complementary colours and carefully select textures to ensure the room feels cozy and luxurious. 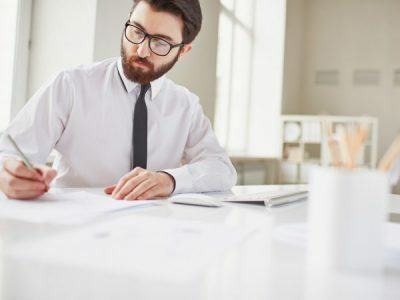 If you’re not well-versed in colour theory or design trends, it’s best to leave your fit out up to the experts to ensure you make the best possible impression. To get people talking about your dental practice, you need to offer something that’s a bit different and unique. Adding something like a massage chair, vertical garden or pinball machine, will become a point of interest that gets people talking about your practice with their friends. You might also like to hang some unique artworks or photographs, use visually-appealing wallpaper, or install a few trendy pendant lights. 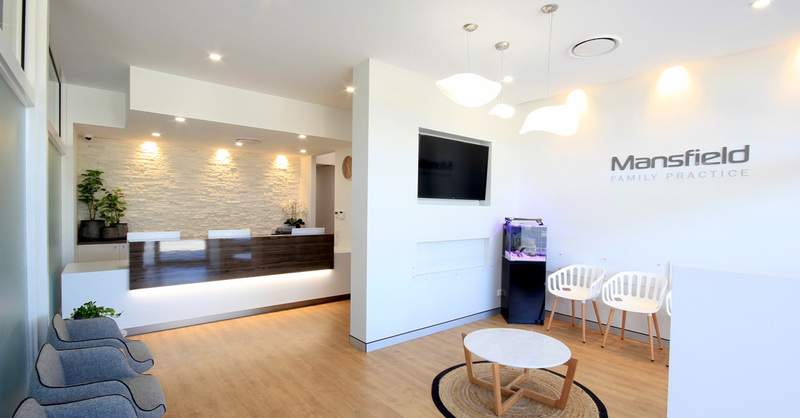 Lighting has the power to change the mood of your waiting room instantly. 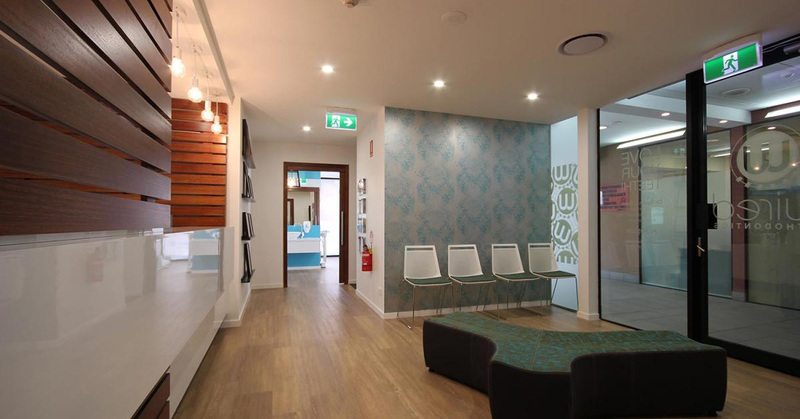 Whether your patients are waiting or a relative is waiting for their loved one, the right lighting can instil a sense of safety, security and comfort. If you lack windows in your waiting room space, a light well or skylight in the ceiling can help to create the feeling of natural light where there may be limits on the real thing. Fun lighting strips behind plants, in bookshelf nooks and behind your television can also add an element of excitement. 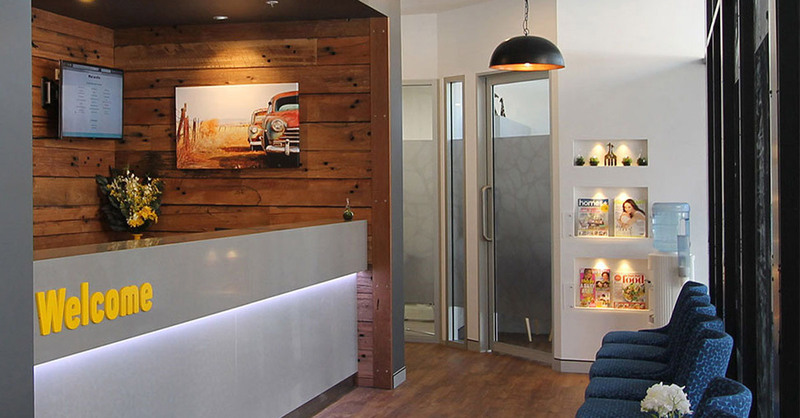 Want to experience a stress-free dental practice fit out which will result in more patients and better efficiency? Contact Dentifit today!